The release of Portal 2 is less than a month away, and many of us here at Co-Optimus can't wait. Today, we have a new trailer for your viewing pleasure. It's 47 seconds of good times. Wait! There's a catch. The trailer is in German, which makes it even more hilarious, or possibly a little evil. I was raised on Indiana Jones films, so to me, it is decidedly evil, in a funny, face-melting kind of way. It also depicts robots taking human jobs, which is pretty evil, as well. My knowledge of the German language is about as good as my Japanese, therefore I won't bother to translate for you. 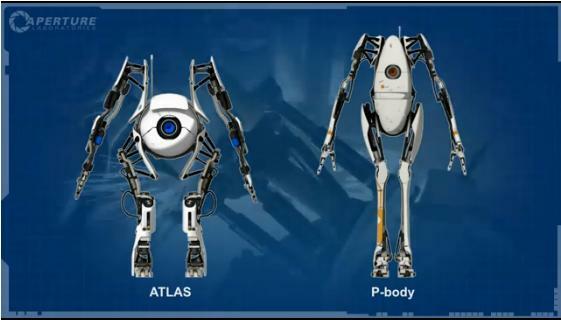 Portal 2 comes out on April 19 for the Xbox 360, PlayStation 3, and PC. The title supports two player local and online co-op. Now in English! Hilarious, and 57% less evil. Page created in 0.3990 seconds.